The round badge is a favourite of many, and for good reason. 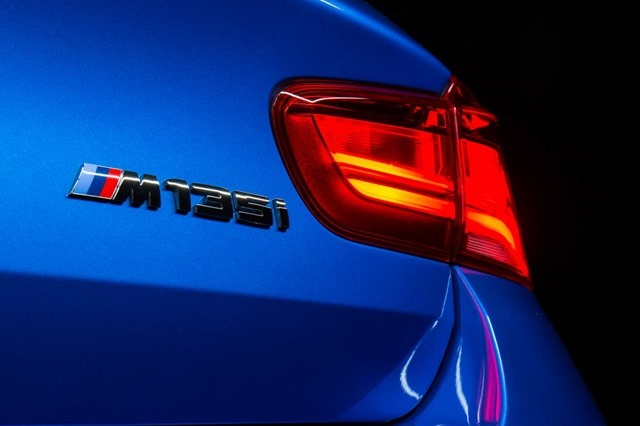 The 3 series started the world’s now familiar obsession with compact sporty German cars that drive like go-carts. 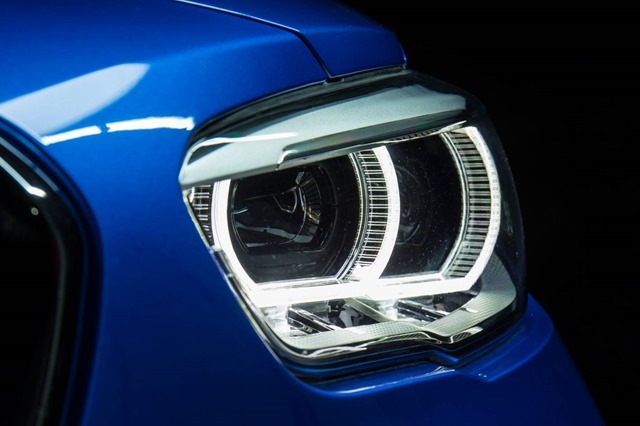 As the 3 series got bigger and more expensive, it soon became obvious that a gap between the 3 series and BMW’s youth brand, Mini, was too large, and the 1 series was born. 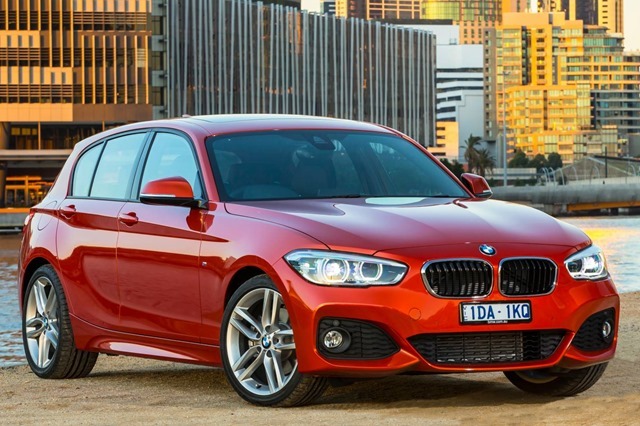 Thankfully the 118i has lost the coarse sharp corners of the first generation. It looked at bit hacked about design-wise and never sat well with me. The current model looks smooth and neat while keeping the feel and look of the original. It’s altogether less polarising (that’s industry-speak for you either love it or hate it). We drove the entry level 118i and the first thing to strike us was the fact that it still looks like a BMW, and for around 40 grand that’s quite something. The exterior looks classy and elegant. While I’m not a fan of hatchbacks that look like wagons, this one looks OK. The back window sitting more upright than most hatches allows for more gear in the rear. Although the design has a touch of “Shooting Brake” about it, the cargo hold is snug unless the back seats are down. Inside is a slightly more interesting story. 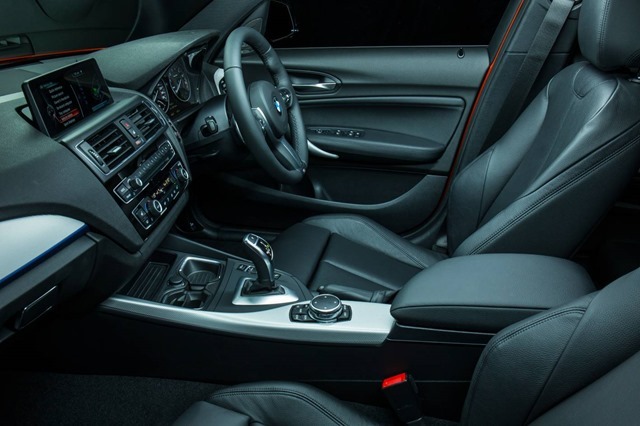 Given the massive price gulf between the entry level 1 series and the uber-posh 7 series, you’d expect the quality in the cabin might reflect that gulf but it doesn’t. Sure there is more stuff in a 7 series. 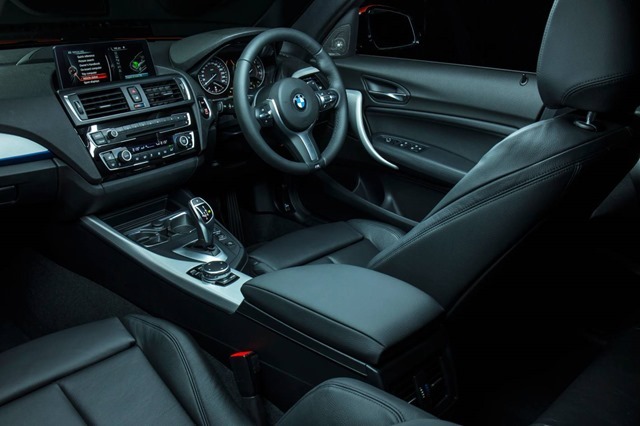 There are more luxury touches and additions, but the look and feel isn’t all that different. Whilst I didn’t like the body-coloured highlights inside the 118i, a few more shekels brings a bigger engine, better handling, and nicer finishes. Instead of body colour plastic you get smart aluminium or carbon fiber look, and fancier appointments as well. All models feel comfy, but there is no getting away from the fact that the accommodations are snug if there are more than a few beefy lads onboard. It’s true especially in the pauper’s seats in the back. In recent years the list of inclusions has grown, but the list of options is still impressive in size and cost. All levels feature ConnectedDrive. It’s a way of getting information from the outside world via various means. It’s a good idea in theory, but there are big chunks of it which are a subscriber service at cost. I Suspect most won’t know or care that the option is available, at least for the moment. The drive is smooth and competent even for our base model. 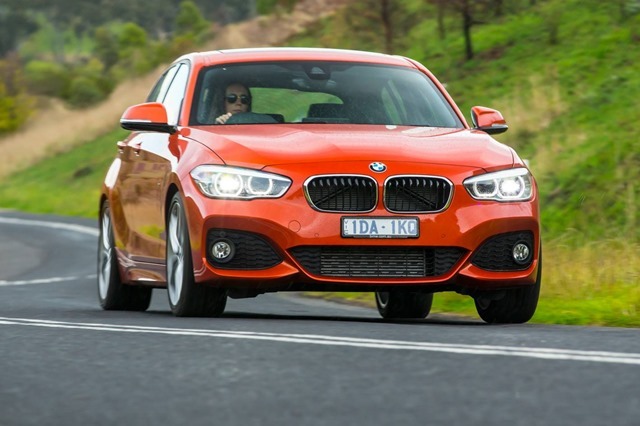 The M135i gets fancier suspension but the 118i manages very well on its standard pins. BMW persists with Run-Flat tyres, yet the ride is comfortable most of the time. Only the most bone jarring of goat tracks ruffle the occupants and the steering and brakes are as sharp as ever. The steering is electric as it is in most cars now. Electric steering requires less of a power drain on the engine. Fewer pulleys means more power to the driving wheels. The top models get oodles of driver assistance gizmos which I’d like to have seen even on the base model. 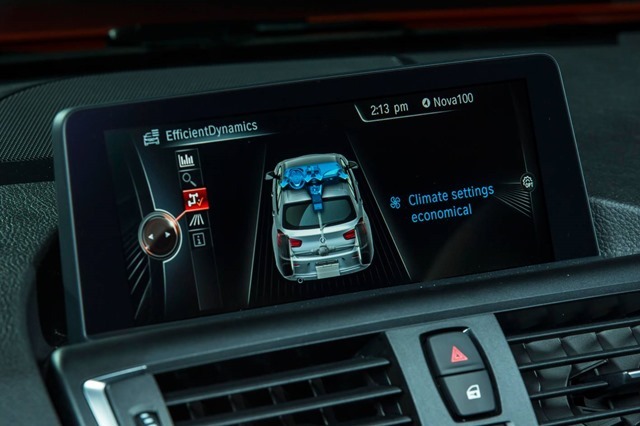 These include: Approach Control Warning, Lane Departure Warning, Pedestrian Warning, light city braking as well as something called an Attentiveness Assistant. I wish my assistant was attentive! There are rear parking sensors across the range with the top two models scoring front sensors as well. All models get a reversing camera which is a safety must-have these days. The I-drive has been simplified over the years. The functions are displayed on the tablet-style LCD monitor. The controls are split between the knob between the front seats, and various other buttons on the centre stack, centre console, and steering wheel. It might all sound hideously complex, but an average intellect should have it sorted after a few weeks practice. Exploring the system won’t break it, so have some fun looking around. 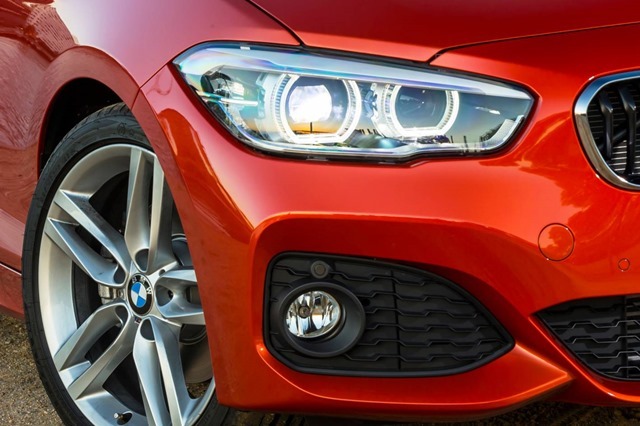 There is a sporty feel even on the 118i, and although acceleration is not as brisk as the M135i (4.9seconds), 8.7 seconds to 100 is nothing to be sniffed at. 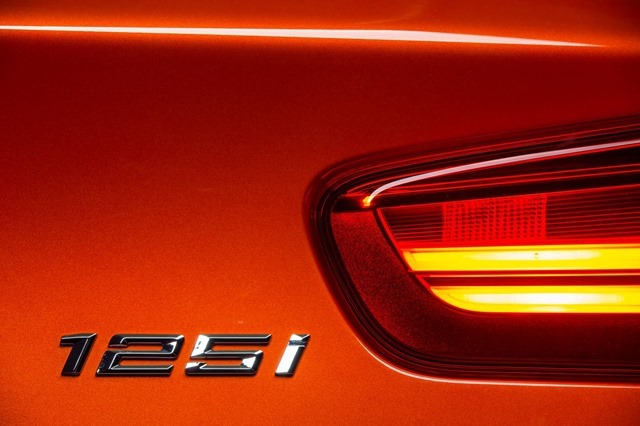 I enjoyed the 118i very much. I liked the handling and the fuel economy. 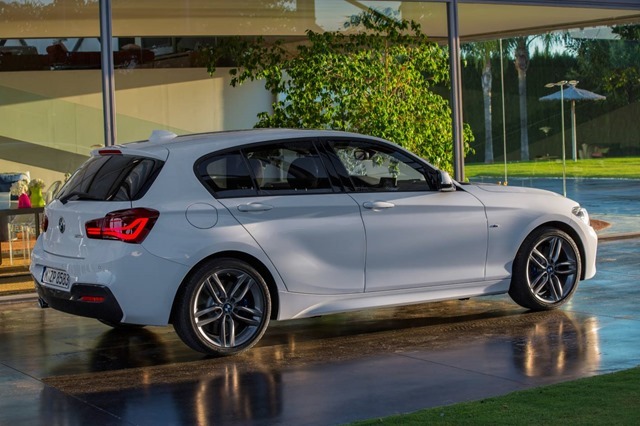 Including on-roads, the 118i can be had for a smidge over 40 grand. 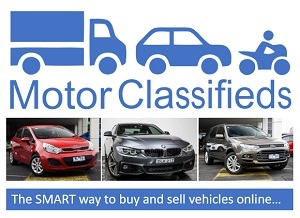 This means “entry level” premium motoring doesn’t have to cost your first born. The 8speed auto is so smooth you can hardly feel a change and most of the time you feel like you’re driving a pucker posh car. Would I buy one? Yes. If I couldn’t afford the go-quick M135i I would choose the 120i as the extra 30kw comes in handy.